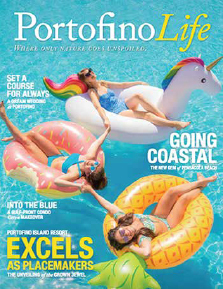 With luxury accommodations, world-class amenities and more than 6,000 square feet of intimate indoor and expansive outdoor venues, Portofino Island Resort offers the ideal setting for executive retreats, meetings and incentive/reward trips. Our highly-trained staff is eager to create events to suit your style and budget. Hold a board meeting in one of our spacious terrace sky homes with plenty of natural light and fresh sea air just steps away. Host a morning breakfast meeting al fresco at Terrazzo Grille or enjoy sunset cocktails aboard the 63’ Portofino I. The choice is yours. We hope you’re as charmed as we are by Portofino’s variety of naturally-inspired meeting settings. Of course, our experienced meeting planner and dedicated events team are also on hand to ensure every detail of your meeting is handled to your liking. They excel at creating memorable events, including team building activities and adventure excursions that utilize the resort’s amenities, as well as our natural surroundings and points of interest – all to ensure you and your group have the perfect Portofino experience. 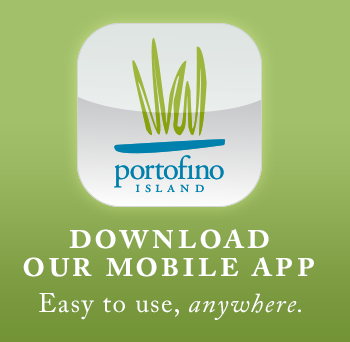 And, finally, as business is 24/7, Portofino offers complimentary WiFi in all of our accommodations, meeting rooms and event venues, as well as stress-relieving spa and wellness packages for busy executives.